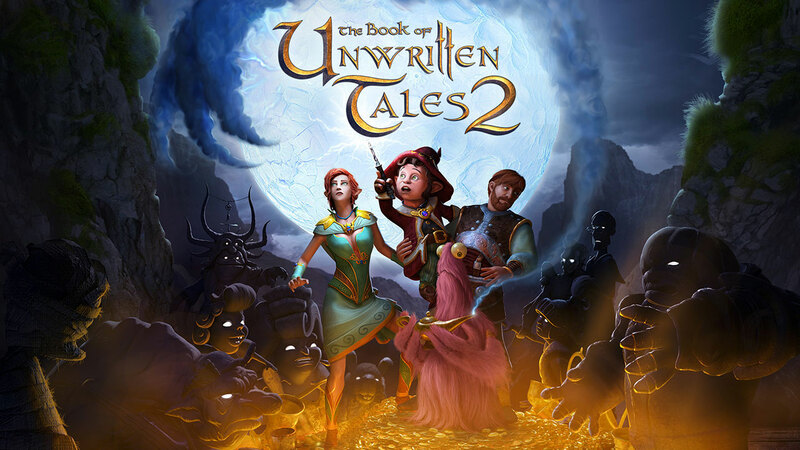 The Book of Unwritten Tales 2 launches physically and digitally for Switch tomorrow. Have a look at some early footage in the video below. THQ Nordic announced this week that it will publish three more games on Switch. Sphinx and the Cursed Mummy, The Raven Remastered, and The Book of Unwritten Tales 2 are due out in early 2019. Amazon has already added in listings for all three games, and we have each boxart above. You can pre-order Sphinx and the Cursed Mummy here, The Raven Remastered here, and The Book of Unwritten Tales 2 here. THQ Nordic announced a trio of titles for Switch today. 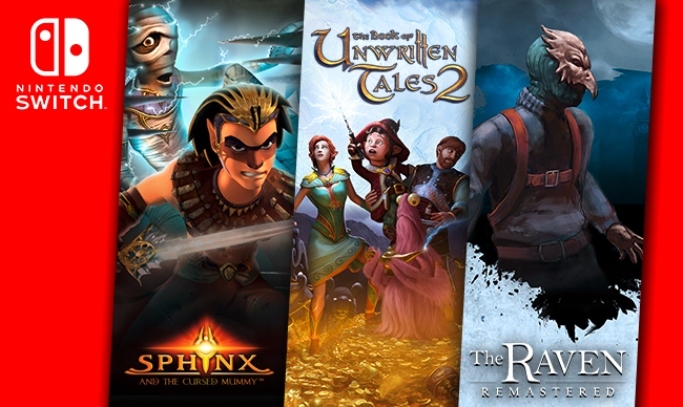 Sphinx and the Cursed Mummy, The Book of Unwritten Tales 2, and The Raven Remastered are all slated for early 2019. Three new possible Switch games from THQ Nordic may have been outed by the Brazilian rating board. The site is listing Deponia Doomsday, The Book of Unwritten Tales 2, and The Raven Remastered for Nintendo’s console. 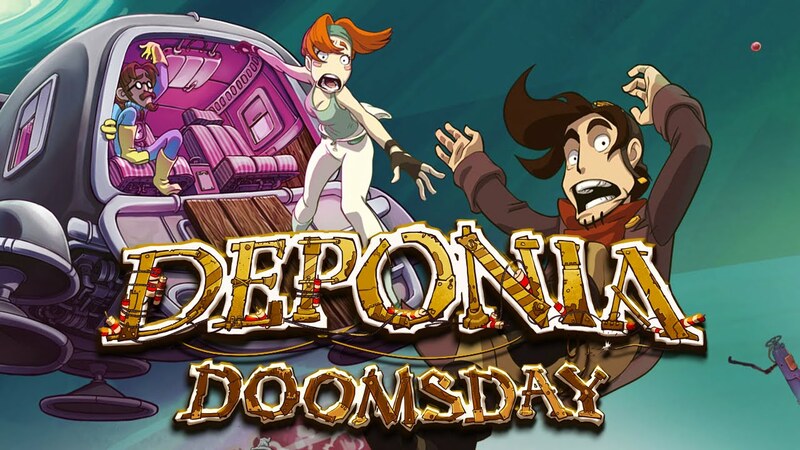 Deponia Doomsday is a point-and-click adventure game from Daedalic Entertainment, who just released State of Mind on Switch this week. 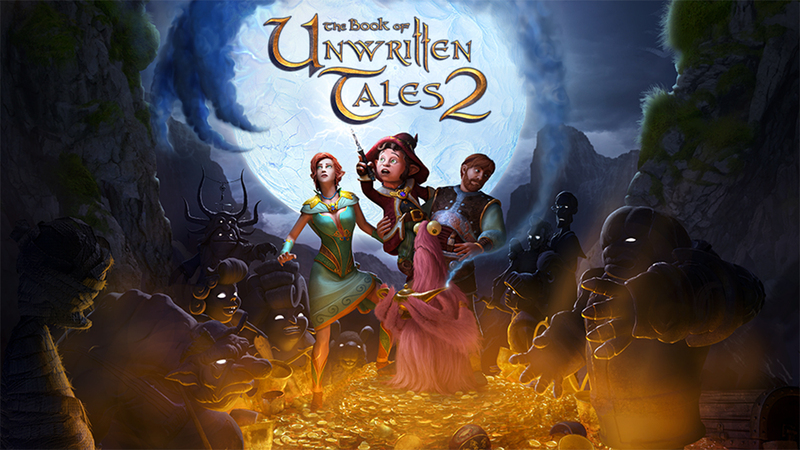 The Book of Unwritten Tales 2 falls in the same genre and was previously made available on Wii U. 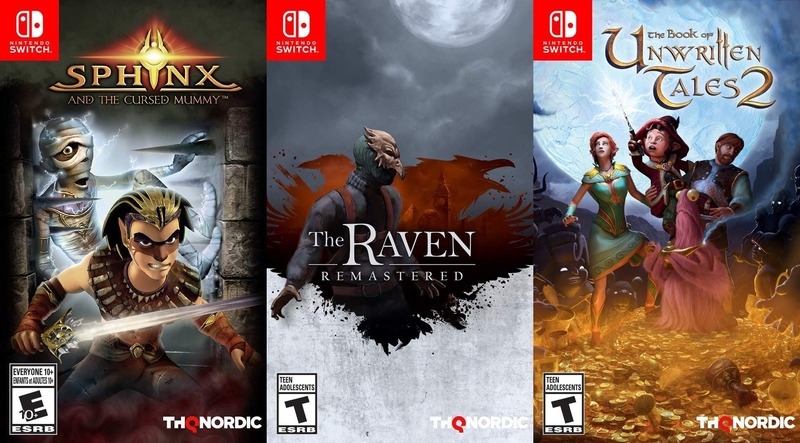 The Raven Remastered was previously listed on THQ Nordic’s website for Switch, so this is another sign of an upcoming release. We’ll keep an eye out for future THQ Nordic Switch announcements in the future. Having come out earlier in the week for Wii U, more footage from The Book of Unwritten Tales 2 is now available. We’ve posted additional gameplay below. 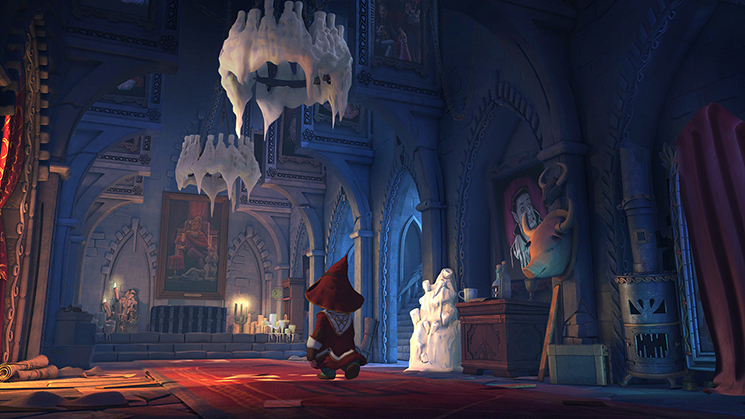 The Book of Unwritten Tales 2 will be available on Wii U this week. Check out a trailer for the game below. 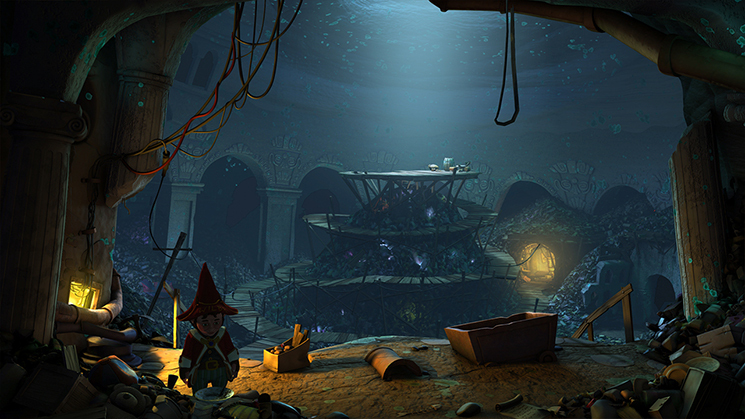 The Book of Unwritten Tales 2 will be heading to Wii U early next month. Take a look at the video below for nearly an hour of footage. 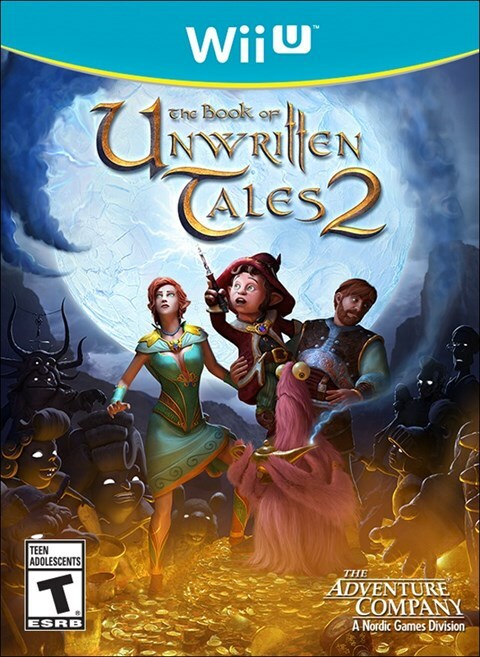 The Book of Unwritten Tales 2 was first expected on Wii U in March… then this month… and now, it looks to be dated for June 7. That’s what Nintendo has listed on its North American website as well as the European Wii U eShop (9GB by the way). Various retailers also have this date locked in as well, so hopefully there won’t be any further delays! The Book of Unwritten Tales 2 was originally scheduled to land in March. That didn’t happen, but the game is releasing very soon. Nintendo has it pinned down for a May 10 launch with a $19.99 price point. Join Wilbur, Ivo, Nate and Critter in another humorous adventure game in the wicked world of Aventásia. Help them fulfill their destiny. A destiny as yet unwritten. Experience a new adventure from KING Art, creators of The Book of Unwritten Tales, The Critter Chronicles and The Raven – Legacy of a Master Thief. A fantasy story with over 20 hours playtime, filled with the trademark BoUT-humor, lovingly spoofing your favorite fantasy worlds. Solve hundreds of weird puzzles, meet an ensemble of quirky characters and enjoy an epic orchestral soundtrack. Last month, we found out that The Book of Unwritten Tales 2 would be coming to Wii U. Amazon UK listed the game for release on March 22. We knew it would be heading to North America as well thanks an ESRB rating – we just didn’t know when. GameFly is now one of the first retailers to have officially listed the Wii U version of The Book of Unwritten Tales 2 in North America. Assuming it’s accurate (and right now we have no reason to believe otherwise), we’ll be seeing the title in North America on March 22 as well.